The best-selling duo of all time, Brooks & Dunn, announced Nashville’s best kept secret today with the news that their forthcoming collaboration project REBOOT will be available April 5 (Arista Nashville/Sony Music Nashville). Brooks & Dunn hit the studio for the first time together since 2007 joined by an eclectic cast of country’s hottest rising talent and producer Dann Huff to remake 12 timeless Brooks & Dunn hits. 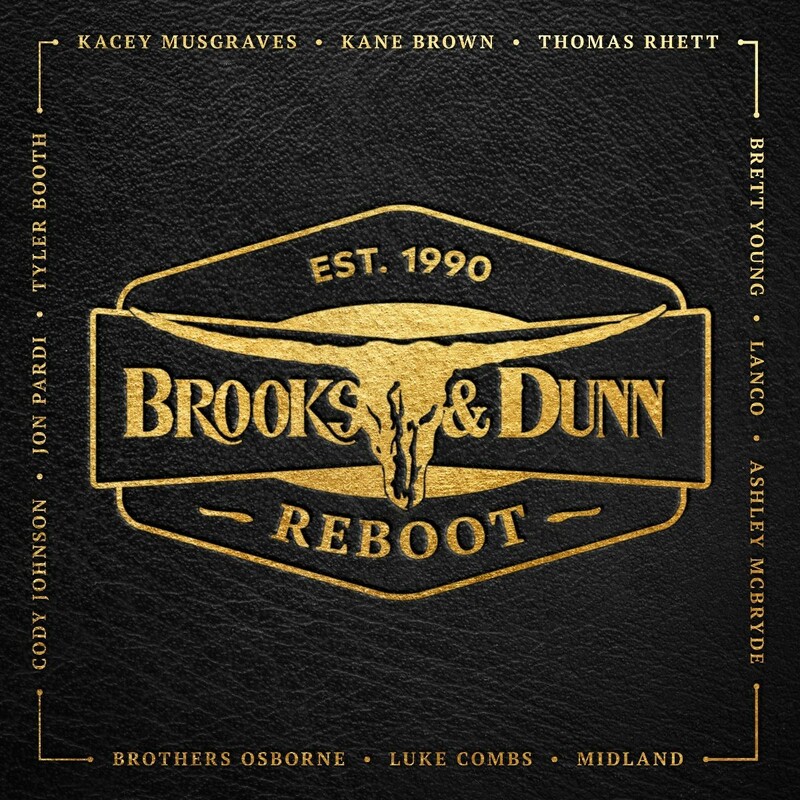 Kane Brown, Thomas Rhett, Brett Young, LANCO, Ashley McBryde, Brothers Osborne, Luke Combs, Midland, Cody Johnson, Jon Pardi, Tyler Booth and Kacey Musgraves call the shots on the all-new arrangements of face-to-face collaborations with Brooks & Dunn. What emerged from a year of top-secret sessions ranges from edgy-rock intensity to heartbroken EDM, and from retro honky-tonk fun to the exposed nerves of a reflective acoustic ballad. Offering the first taste of what to expect from the forthcoming release, the revered duo’s takes on “Brand New Man” with Luke Combs and “Believe” with Kane Brown are available today HERE.